The amount of particles in the atmosphere is decisive for both our health and the Earth’s climate. Researchers have spent a great deal of time investigating what causes the emission of particles, but knowledge about how they leave the atmosphere is not as advanced. Ilona Riipinen, researcher at ACES and new Wallenberg Academy Fellow, will now study how clouds and rain, for example, contribute to cleaner air. A high level of particles in the air increases the risk of problems such as asthma and cardiovascular disease. In addition, the particles in the atmosphere affect the global climate, because they can both absorb and reflect the heat radiating from the sun. ”I hope we can learn something completely new about the interaction of water and organic molecules within the atmosphere. There are many possible applications. For example, we can develop better models for understanding climate change or regional air quality, but also a better understanding of emissions,” she says. 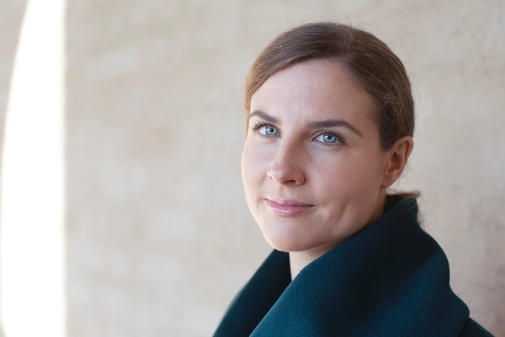 As a Wallenberg Academy Fellow, Ilona Riipinen will develop methods for making forecasts of both air quality and climate trends that are more accurate. For example, better knowledge of what governs particle levels in the air is important for urban and land use planning, and to be able to take well-informed political decisions on emissions. Wallenberg Academy Fellows is a program to support some of Sweden’s – and the world’s – most promising young researchers within medicine, natural sciences, engineering sciences, humanities and social science. The five year grant gives the most promising young researchers a work situation that enables them to focus on their projects and address difficult research questions. Of the 29 new Wallenberg Academy Fellows 2015, three will conduct their research at Stockholm University.